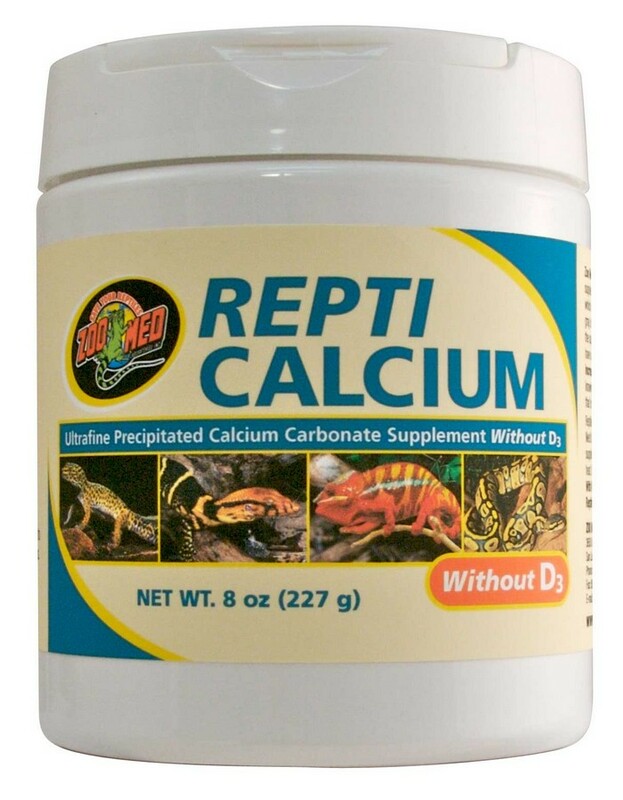 Repti Calcium® without D3 | Zoo Med Laboratories, Inc.
Repti Calcium® is an ultra fine Precipitated Calcium Carbonate Supplement. 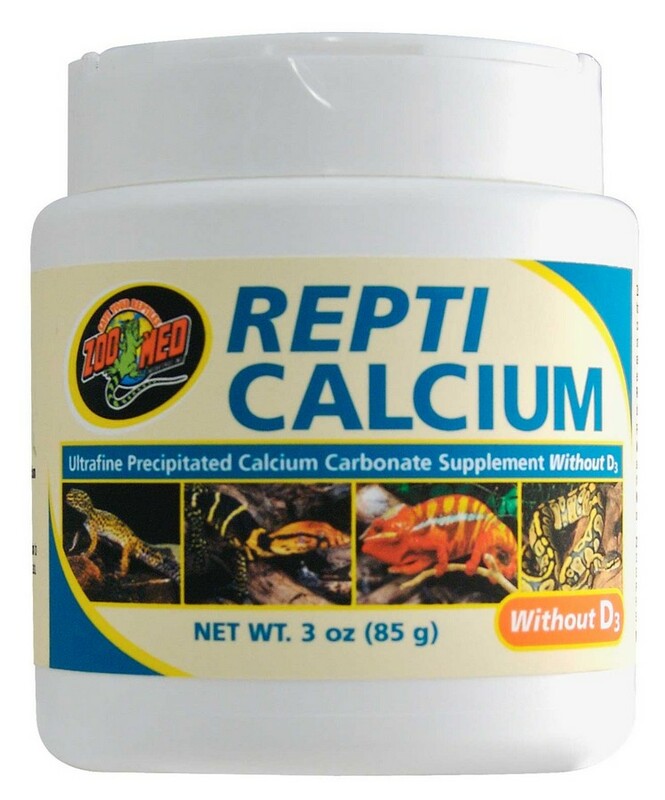 It is a phosphorus-free calcium supplement for reptiles and amphibians. It has a unique shape/high surface area per gram resulting in increased calcium bioavailability. Highly bioavailable source of calcium carbonate. Free of harmful impurities (not from Oyster Shells). 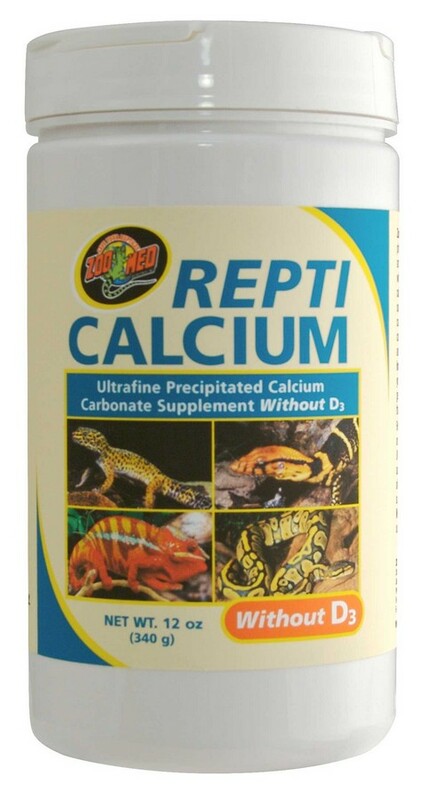 Use with reptiles that are able to meet their Vitamin D3. 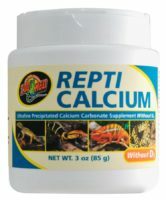 Repti Calcium® is a great source of Calcium for reptiles and amphibians. Check out this video of Zoo Med’s own animal specialist, Ashley, demonstrating how to use Repti Calcium.